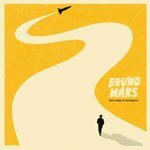 The Lazy Song is off of Mars’ Doo-Wop & Hooligans record. The song was a big deal for a long time, with lots of airtime and a music video with monkeys. Naturally, ‘ukulele players everywhere want to learn the chords. The ‘ukulele chords for The Lazy Song are easy in the verses and chorus, but the pre-chorus and bridge disqualify it from being an “easy” song, in my opinion. If you’re a beginner just stick to the simple sections and you’ll still be able to play the majority of the song. For strumming this song your best bet is going to be a basic reggae strum. You can use it to copy the simple guitar chank. The original recording is in the key of B. If you want to play along, tune your ‘ukulele down a half-step to F# B D# G#. This makes the chords shown sound like they are in the key of B while still using easy fingerings.